Shopping for the one you love is always fun. So why delay this Valentine’s Day, take you shopping bags out and start hunting for the best Valentines Gift for Boyfriend or girlfriend for the occasion. However, one would find it hard to shop for men as they have different preferences. It is time to find perfect valentine gifts for him which he will love as much as he loves you. But you have to keep one thing in mind that the gifts should have a greater utility. We have listed down top 5 valentine gift which will surely him. This love season it is all about timing. Go for a smart watch which has all the top functionality with a smoky classic look. It is sure to go well with both his professional and casual style. For analog watch lovers the simplicity powered by great design is the perfect fit for Valentine’s gifts ideas for him. The man with arsenal of style can tie it around his wrist to make sure that it is best suited for the occasion. Gift him a portable leather traveler bag which has space for his laptop, tablet and other travel necessities. He can carry it along to all his road trips and it will be extremely useful for him for all times to come. The leather will enhance its color over time. Who wouldn’t like to gorge delectable pieces of chocolates? Go for only the premium ones which features Ferrero Rocher, Toblerone, Snickers, Mars or else you can also go for irresistible ‘Kisses’ which is everybody’s all-time favourite. You can go with chocolate hampers along with a personal note that expresses your love for him. Chocolates are considered to be best valentine gifts for him to make him feel special this season. You can shade his eyes in style with aviators which are crafted in its timeless shape making him look both dashing and handsome, this love season. If nothing else clicks you can go with some of our creative valentine gifts like love contracts and love message in a bottle which is an all-time hit throughout the love season. Yes, you read it right. It's one thing to go western on your cocktail party and another to make a statement with a Saree. Indo-western looks are quite in the trend these days and are loved by everyone for the uniqueness and elegant look they have to offer. If you are a die hard saree lover who doesn't want to ditch the six feet beauty even on a western themed party or simply a statement loving Bride-to-be who would like to turn all heads towards her on her cocktail - here is some inspiration for you to ditch those stereotyped cocktail gowns and GO SAREE on your cocktail! We have talked about this style before in this post. Capes are a rage these days for their sheer beauty and elegance. Add them to your saree and give your traditional saree an instant modern twist. This style will surely make you look stand out. The best part is that a cape saree will make for a perfect and more than appropriate outfit for a cocktail! If you are not the bride and attending a cocktail than you can go for a simpler version of this unique cape saree. If you want to go for a bling saree than keep the accessories minimal, we don't want to overshadow the bride now do we! :) For brides, you can simply opt for an embellished saree with a net cape or vice versa. Get This Look On Budget: If you are having difficulty hunting for the perfect cape to suit your saree than ask your tailor to design one for you. Wear the same cape on a contrasting beautiful saree which your Mom bought for you as a pre-wedding gift! :) Capes are available by many brands, buy one which suits your saree and desig your own look. Anything floral naturally has that neutral aura to it and a floral saree can be the best pick for a bride on her cocktail! The best thing about floral sarees is that they can make you look glam and gorgeous even if you opt for an accessory-less look! The floral fever is raging high among Indian designers and you can easily find the perfect floral saree for you from different labels. 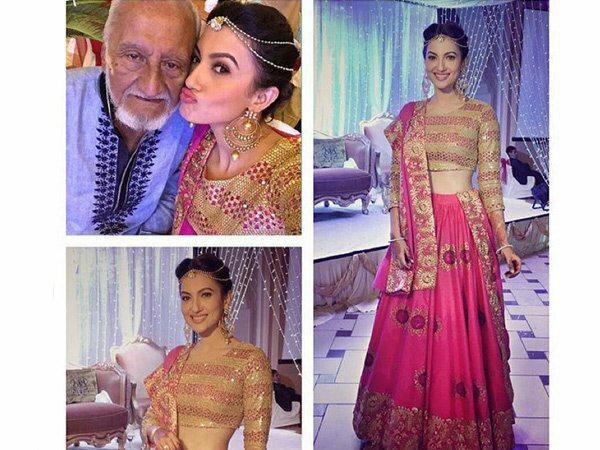 This is another rage among Indian designers and something which every Bollywood actress has worn atleast once! Many designers, especially Anamika Khanna is experimenting a lot with this style of sarees and you can see different designs of this Indo-western blend worn by actresses for their film/promo launch events. A pant saree will be perfect to give your cocktail outfit a fun twist. You can opt for a pant saree on your cocktail if the party is at a beach or nearby a swimming pool or simply on a day when you want a hassle free saree drape! Get This Look On Budget: Buy a palazzo/pant and a dupatta with exactly the same colour and a jacket of the contrasting colour. Drape the dupatta on your pant and jacket like a saree and you are done! It's your saree with a kurta! This one has to be chosen very promptly as a slight fault can ruin the whole look. The whole look of a tunic saree depends on what kind of kurta you are wearing and how well you have paired it with your saree. If you can do it right, this will for sure be a complete head turner as it is a style which is rarely opted for due to its demanding styling. Our tip is to keep the kurta simple(prints will do) and drape a sequined saree on it. You can also go for a heavily embellished kurta paired with a simple saree with a contrasting drape! Pair your favourite short kurta with a contrasting saree and drape the pallu of the saree above the jacket. Pin the pallu of the saree in plates on your shoulder using safety pins. Done! Quite famous in the south, Half sarees are another rage among saree lovers. These have a very traditional touch to them and styling them right can make several heads turn towards you! I personally loved the different vibrant and elegant half sarees which Deepika Padukone wore in the movie Chennai express. You can opt for a western hairdo or accessorize it with ear cuffs and stuff like that to give the half saree a cocktail touch. Choose vibrant coloured minimal embellished or better still, zero embellished half saree for your cocktail. Too many sequins will make it look like your wedding day than your cocktail! Get This Look On Budget: Take your most vibrant and elegant looking lehenga choli and drape its dupatta like a saree pallu and secure with pins. That simple! Get This Look On Budget: Wear a slit western skirt and drape a matching colour dupatta with neat plates. Let the excess part of the dupatta fall like a saree pallu on the back. Secure with safety pins. Jewelry plays a vital role to complete the your look and make your outfit you are wearing a memorable one. From silver to pearls, and gold to diamonds, everything has its own significance and dignified position in Indian wedding. The bride’s i India have a lot to choose from ! But what about those who are attending the wedding? yes, i a talking about all the guests invited to join the happy occasion of the marriage ritual! There’s no doubt the bride looks the most beautiful in a wedding, well because she is the BRIDE. And those who shine after the bride are all the women who look lovely in their outfits.. What’s the next most important thing after you choose an outfit to don at a wedding? Well its the jewelry ! And the first important thing in jewelry is the earring! Coming to the earring part let me tell which are the five most hottest earring trends caught up with guests arriving at a wedding! 1.Statement earrings When your outfit is heavily embellished, it’s best to go minimal on jewellery, hence donning statement earrings is the easiest and the best way out. Just a pair of earrings and you are ready to steal the show ! It can be either a pair of dazzling tassels orfloral statement earrings like the one’s below..Here are a few earrings that will play up any outfit of your’s and transform your look totally! Women love to experiment. Ans statement earrings is one way to experiment! If one looks at its popularity, one can safely assume that this piece of hot jewelry trend is here to stay, like forever! 2. Ear cuffs: A rather refreshing and fun choice , ear cuffs that are eye catchy brings about the youthfulness in wedding guest jewellery. They stand out best when your outfit has western motiffs. Although diamond studs are classic favourites, try out for more youthful pair of earrings to work with your indo-western outfit while attending a wedding and don the ear cuff!S ometimes a casual look can transform into a classy one if a proper pair of ear cuff is worn along with it. Topping our list are the traditional Indian chandbalis. These are versatile too and suit a traditional outfit ! These moon shaped earrings are sure to bring about a definite ethnic charm to your attire. Many ladies of the tinseltown have been spotted wearing these pretty earring style which go well with their lush, anarkalis, sarees and lehengas. I love them and own atleast one in every color! They are the season’s must have jewelry! No wonder they leave you looking drop-dead gorgeous when you wear them! Sparklers have these gems on them and range from heavy to light weight . Just wear them and get ready to sparkle . But it is important not to wear them on flashy ethnic attires as they tend to clash and the whole outcome turns garrish. Pick them up when you want to accessorize a simple dress and want to go high on jewelery ! Now these re a timeless trend and I must confess the most often spotted in an Indian wedding. The Jhumka is the perfect accessory for ethnic Indian wedding wear. These type of earrings are eternal and undoubtedly a classy & timeless. Wear a sari, a lehenga or an anarkali and wear these gorgeous old world charm, and you are sure to turn heads wherever you go! Jewelery trends are continuously evolving and still continues to evolve. With every passing year the trends keep on adapting and re-inventing and this 5 hottest trends according to us are here to stay ! The wedding season is here and it is time to experiment and look your ethnic best with a contemporary twist. A variety of hair accessories are trending this season and we have spotted even celebs experiment with hair jewelry at recent weddings. Traditional hair accessories like matha patti and tikka are being given a minimalist fusion look while elaborate jhoomars and hair pins are making their way into shaadis. Getting your hair accessories right is important especially in indian weddings as even a simple tikka can up your style quotient but a little overdoing and you come across as a wanna be trying to upstage the bride. These days weddings come with no rules and not just the bride but even guests are allowed to flaunt Mang tikkas, jhoomars and matha pattis . 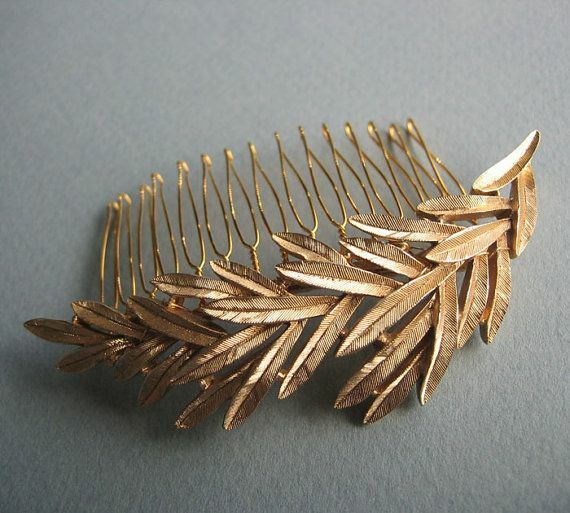 Here we put together a list of trending hair accessories to flaunt this season. 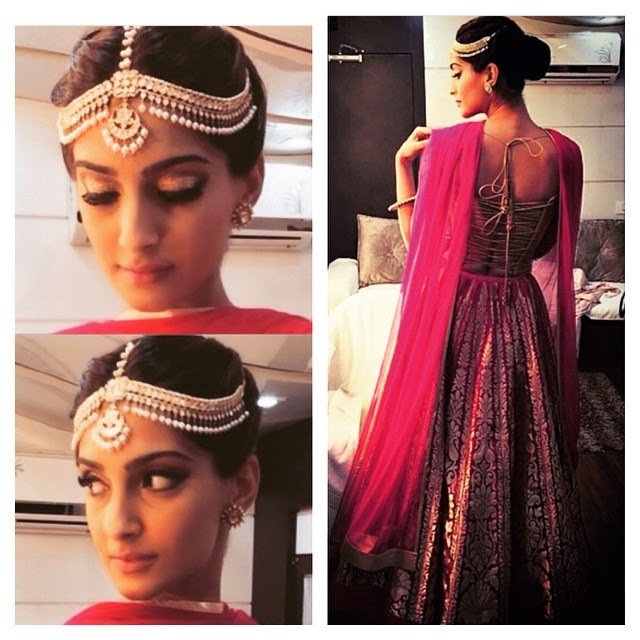 A simple Matha patti can glam you up and transform your look in seconds . Since you arent the bride go for light contemporary styles and skip the necklace for a fuss free elegant wedding look. even deepika and samantha have sported the simple matha patti look in the past . These looks can be replicated by brides friends or siblings for mehendi . This is my favorite wedding accessory as it is simple to flaunt and can give a very effortlessly stylish vibe to your wedding look. With tikkas you are allowed to go all out and wear a bold traditional piece or go the light route with a simple one. Kundan mang tikkas with pearls are a raging trend and for minimalist chic look you can go for crystal or zircon studded tikkas. This jewel can be worn by guests to any wedding function like mehendi, sangeet, reception, marriage or even cocktail. You can experiment and wear a different style tikka for different functions. Choose from a wide variety of options which range from rajasthani borlas , kundan tikkas , tikkas with half head chains, crystal tikkas, chand bali style over sized tikka and tikka with pearl chain. Mang tikkas generally rest on the middle parting of the hair but these days i have spotted many women sport this jewel even with side parted hair which gives this traditional jewel a modern twist. Iam looking to try this side parted hair with tikka trend soon. Basically the westernized contemporary version of matha patti these head chains are super hot in trend. Single, double or multiple strands of simple chains rest on your head for a elegant and clean look. Also called the passa this used to be a muslim brides accessory but not anymore. These days jhoomar is hot on trend and can be seen worn by both classes and the masses. Since adding a jhoomar crowds things up and makes things look over the top jhoomar ia worn by brides and not wedding guests but rules are changing rapidly and even guests can flaunt this trendy accessory by getting the styling bit right. Skipping the tikka when wearing an extravagant jhoomar is the best way to bring in a balance but wearing both tika and jhoomar is also acceptable these days. With both jhoomar and tikka keep your make up soft and minimal and other accessories simple. The best occasion to flaunt a jhoomar is during a sangeet or mehendi of a close relative or friend also we at blingsparkle think that a jhoomar works best with side parted hair. what do you think? Embellished clips with small combs in the end are very popular in the western world and they are gaining popularity rapidly in india too. Hair combs are elegant and classy and work best at occasions like cocktail or sangeet. The style options with hair combs are plenty but make sure you have thick hair to hold these combs securely. Juda pins are used to beautify traditional hair buns. There are a variety of designs available when it comes to juda pins and you can choose from traditional or contemporary designs . Juda pins tend to look mature and is best worn by mother of the bride or groom or elder siblings. sister of the bride or groom can opt for simple new age juda pins which are pinned on the sides of the hair instead of the back . Juda pins with chains similar to a matha patti are also available these days. You can also opt for juda pin earrings where extensions from traditional earrings are attached from both sides to a fancy pin in the middle. Simplest way to glam up your hair is with hair pins and these days variety of hair pins you have is simply amazing. There are plain bobby pins, tic tac ones, embellished pins, floral pins, bows and so much more to choose from . Designer Sabyasachi sparked off this trend on runway and ever since there is no turning back. embellished velvet head bands are very popular these days and they are the simplest way to style your hair. If you are having a bad hair day just grab a hair band and style it over side parted hair and set with hair spray to prevent hair from flying here and there. The best thing about hair bands is you can use them if you have long or even short hair but make sure your hair dont have volume as this works best with sleek hair. 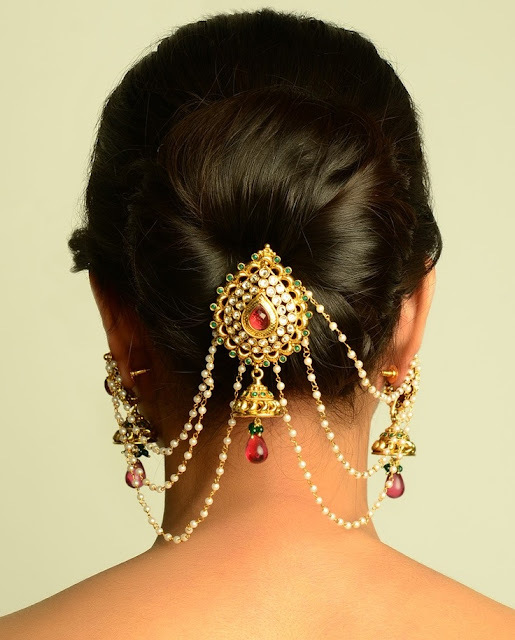 Which hair accesory are you looking to flaunt this wedding season? Iam so hooked to the jhoomar trend and just cant wait to wear my pearl kundan one to my friends mehendi .